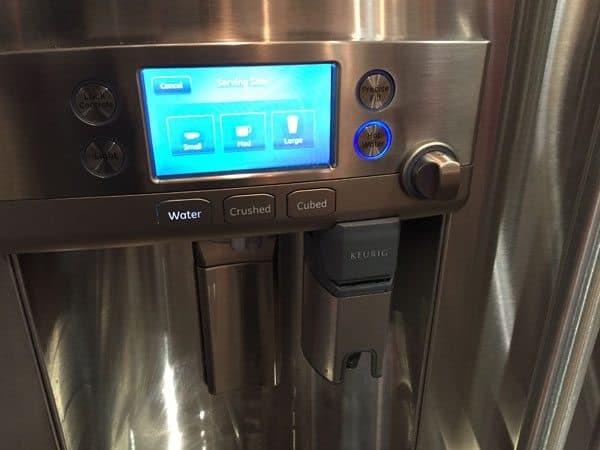 Water dispensers in refrigerators are nothing new, but dispensing hot water is a different story. 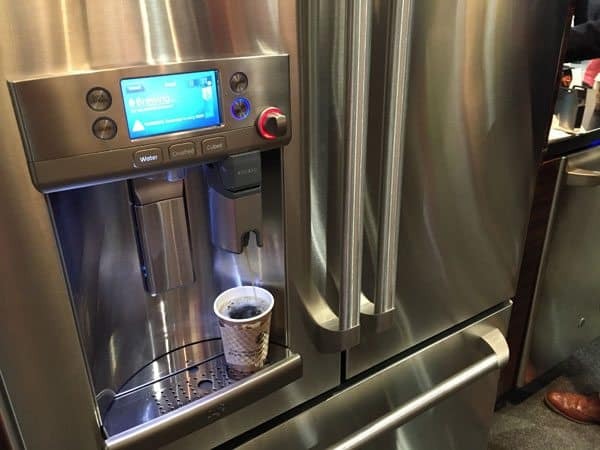 This year GE and Keurig will introduce a first of it’s kind refrigerator that offers water, ice and hot brewed coffee (K-Cups). The above video demonstrates how it’s done from a cold startup. It took less than two minutes for the unit to heat up and coffee was served just as any K-Cup brewer does. This should save some room on your countertop but also keep you hooked up K-Cups. The only drawback might be the discontinuation of that type of coffee size but because they have proliferated so much and the Vue not having the same impact, single-serve K-Cups will be around for awhile. 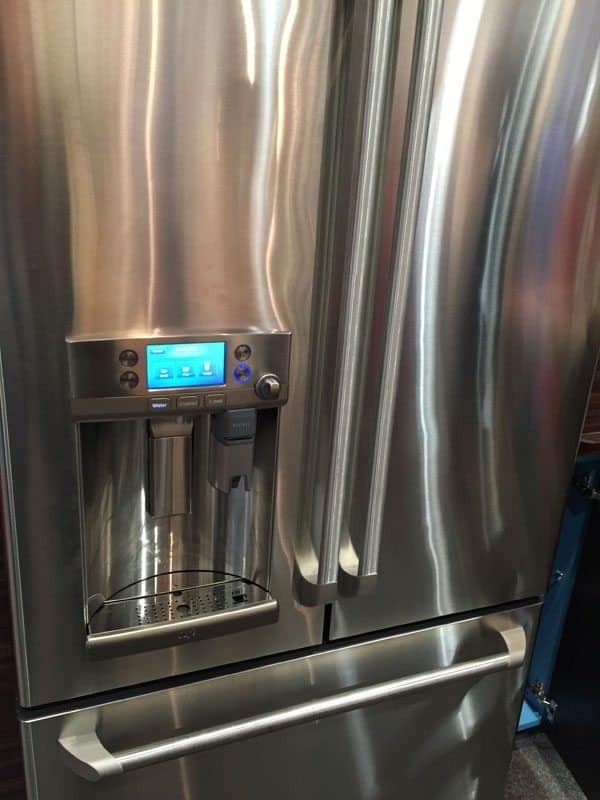 Will the Keurig 2.0 soon make it’s way into a refrigerator? A Keurig rep couldn’t confirm or deny if they were working with other manufacturers on this same feature but I’m sure you will see it across the board on LG, Samsung, KitchenAid and more. The Keurig single-serve coffee maker will be available on GE Cafe Series French-door bottom-freezer models, GE CFE28USHSS and GE CYE22USHSS and the MSRP is $3,300. Available this year. Is a coffee maker a feature you’d like to see in your refrigerator?